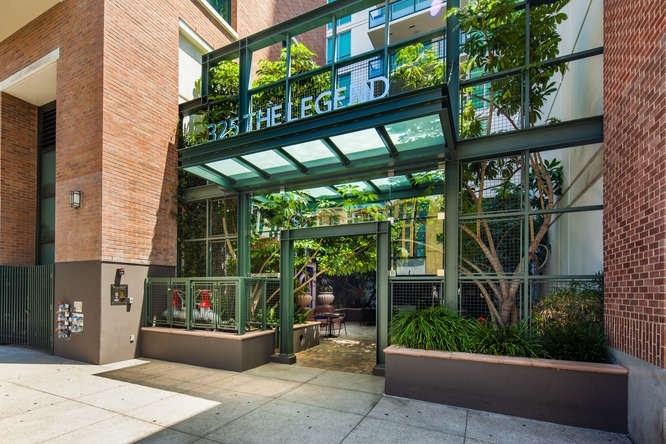 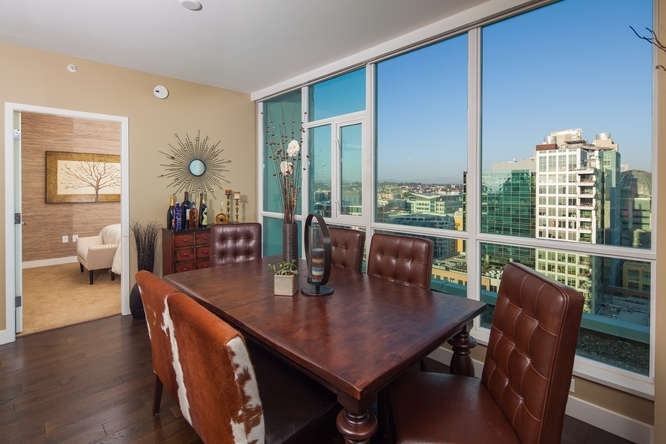 The Legend Condos are located on Seventh Avenue in the East Village neighborhood of San Diego. 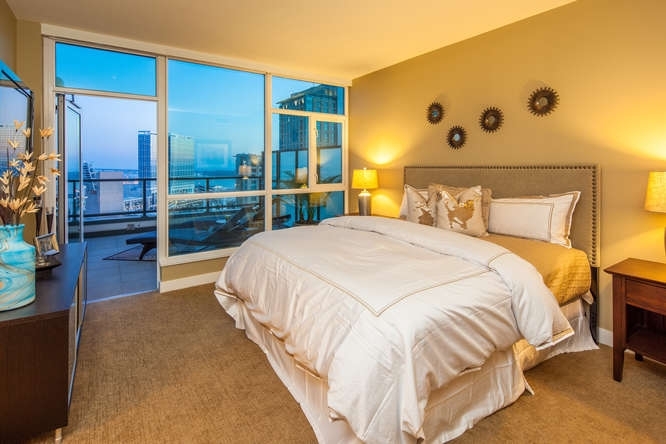 This 23-story building features 170 high rise condominiums, 8 townhomes, and 31,000 square feet of retail space. 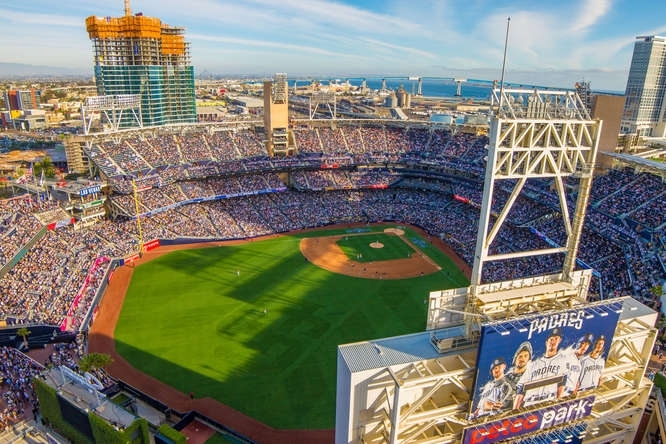 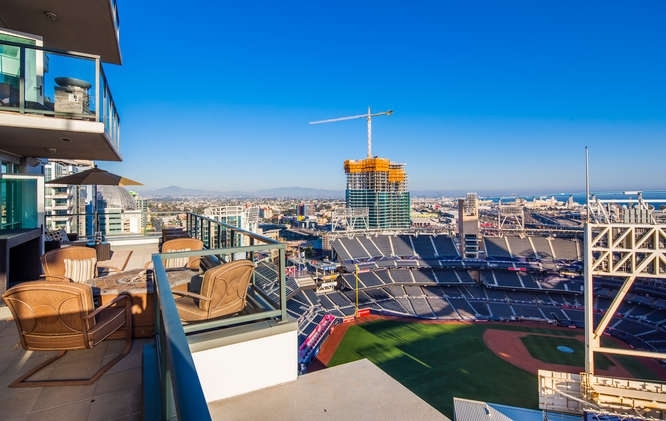 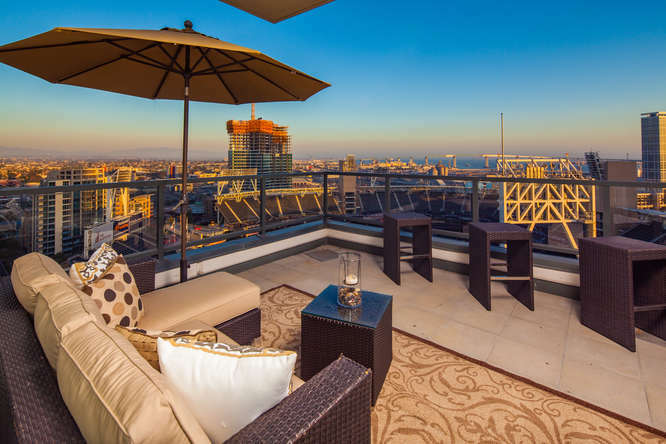 A baseball fan’s dream, this building features an outdoor deck overlooking Petco Park. 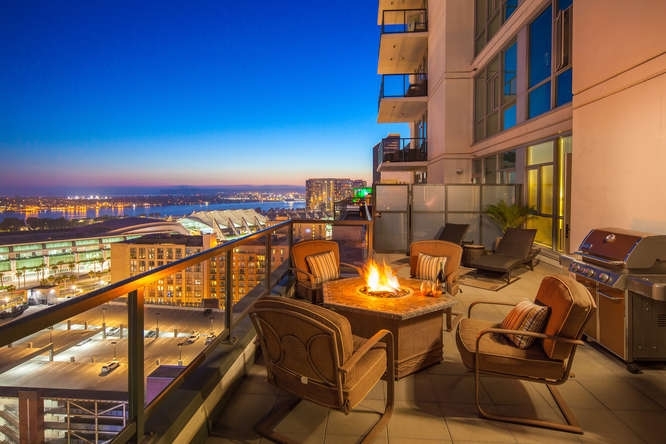 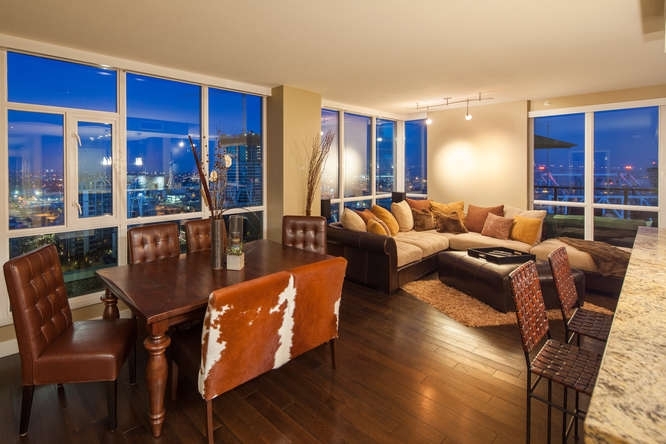 Legend Condos feature a garden deck and barbecue on the 2nd floor and the 7th floor’s social lounge opens out onto a 3,200 square foot deck with a barbecue and two fire pits. 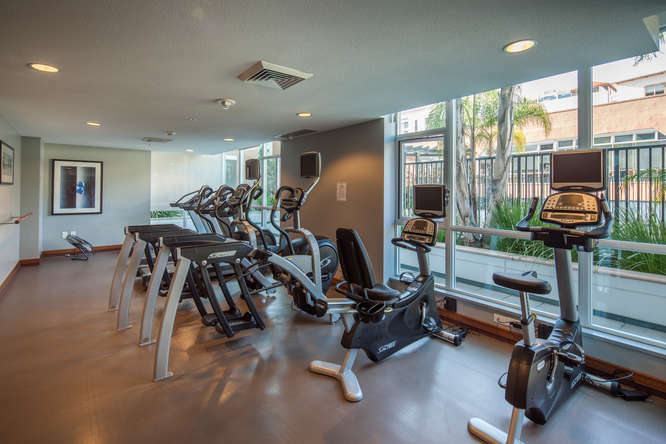 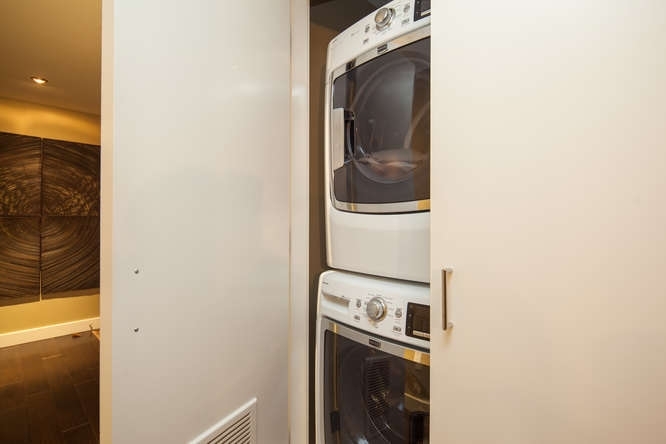 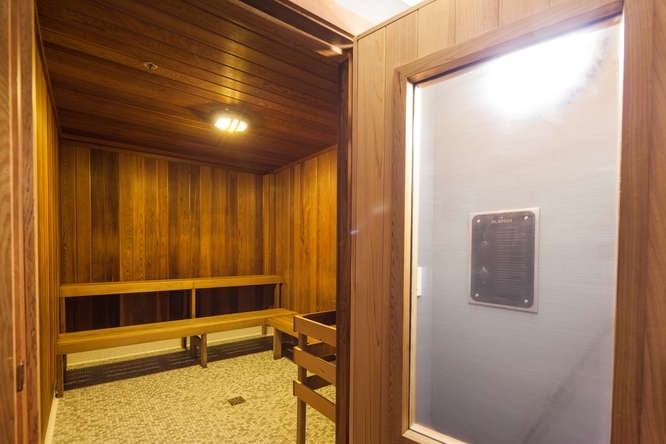 Other amenities include a fully-equipped fitness room, pool, spa, sauna and steam room, concierge and 24-hour gate attendant. 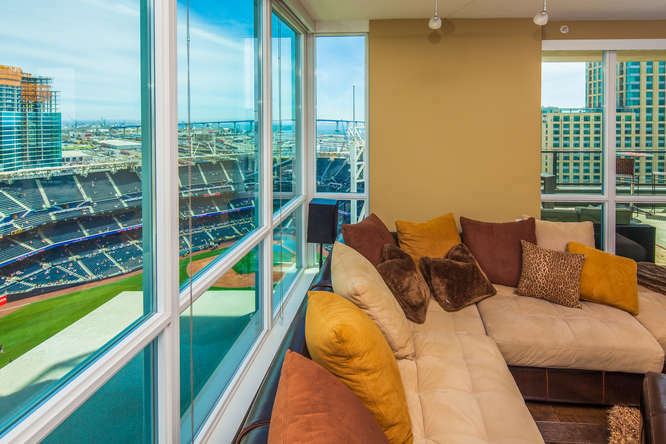 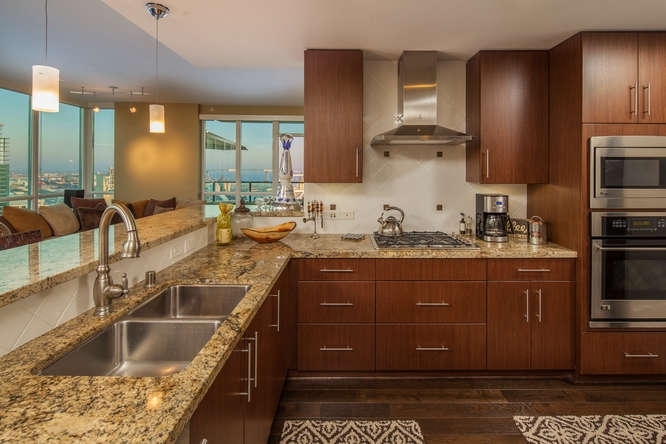 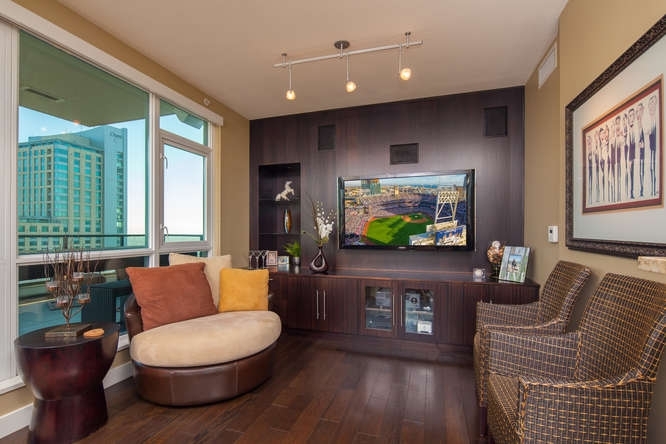 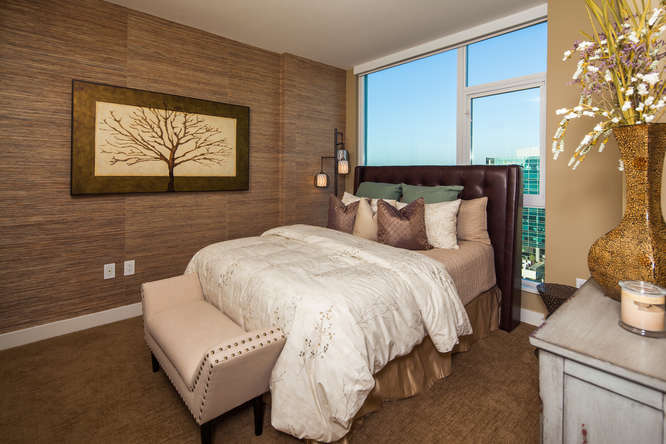 The Legend condos offer striking views of San Diego’s waterfront, the Cuyamaca & Laguna mountains, city lights, and the ballpark. 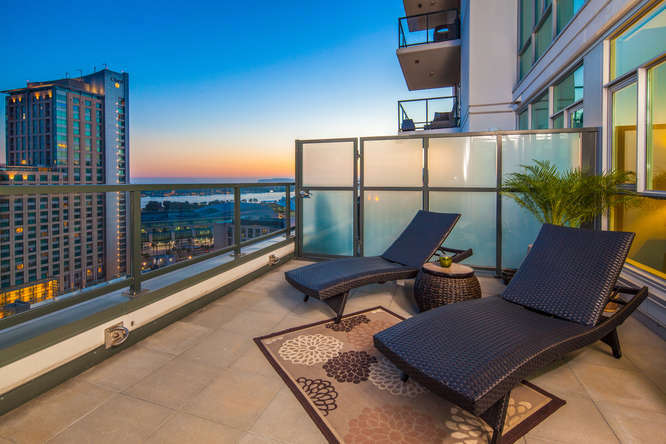 The Legend condos offer the ideal mix of privacy, luxury, convenience and the opportunity for social and recreational activities. 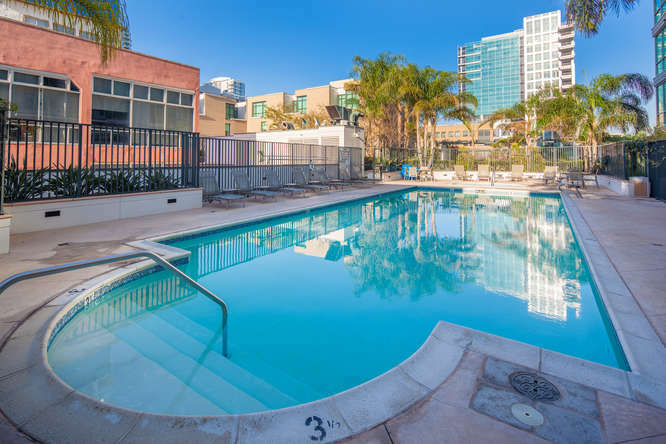 The East Village is downtown San Diego’s largest and most developing neighborhood comprised of 130 city blocks located east of the Gaslamp Quarter and southeast of the Core and Cortez Hill. 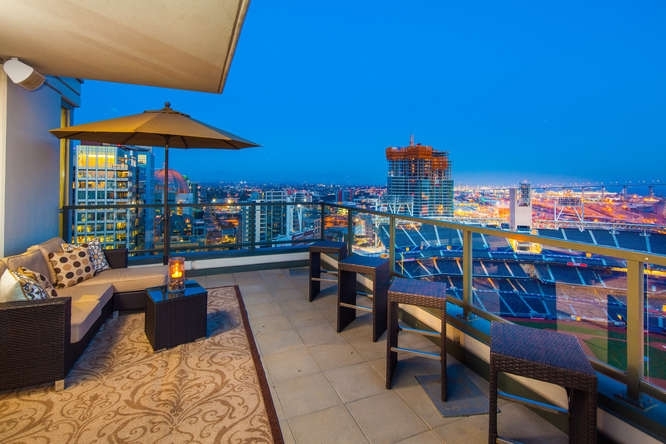 The East Village includes the Makers Quarter and I.D.E.A District. 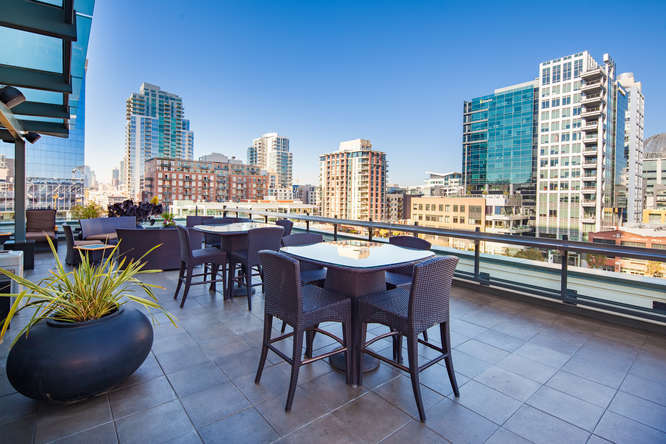 With a variety of restaurants, luxury hotels, cafes, rooftop bars, boutique shops, and live music venues, East Village has a lot to offer. 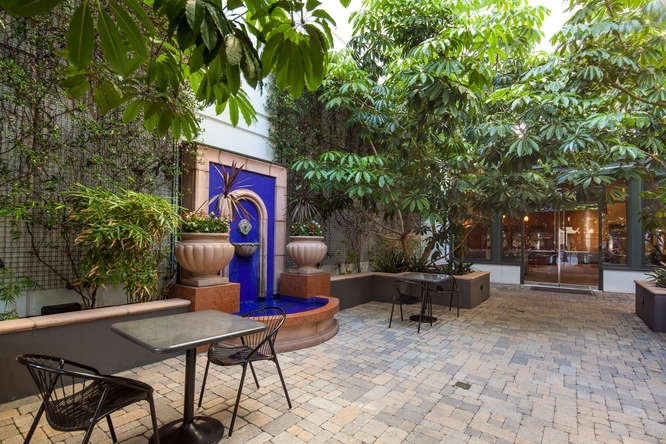 Also considered San Diego’s art district, the East Village neighborhood is scattered with artists’ homes, galleries, and studios. 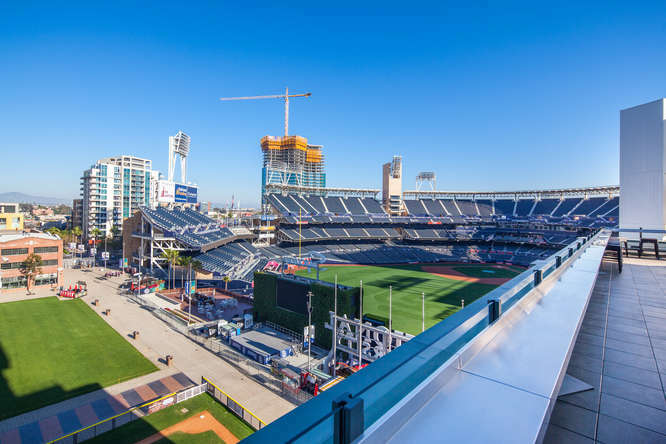 San Diego City College, the New School of Architecture, and two high schools also bring educational opportunities. 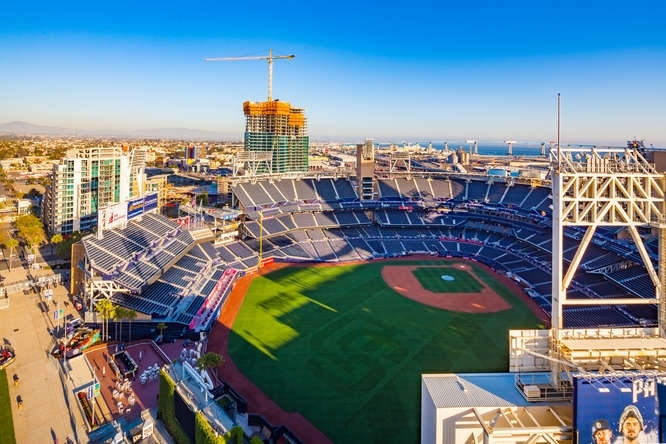 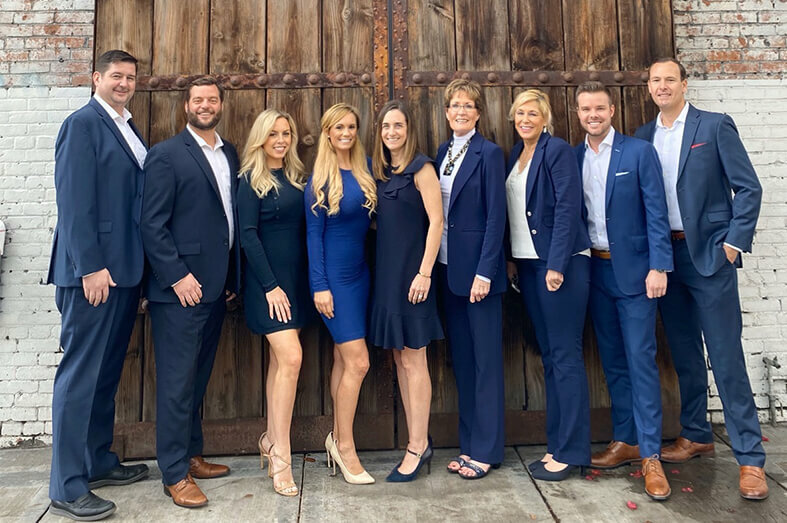 Exciting things to come include the Park-to-Bay link which will connect the San Diego Bay and Balboa Park; the Thomas Jefferson Law School and the Downtown Public Library were both completed recently. 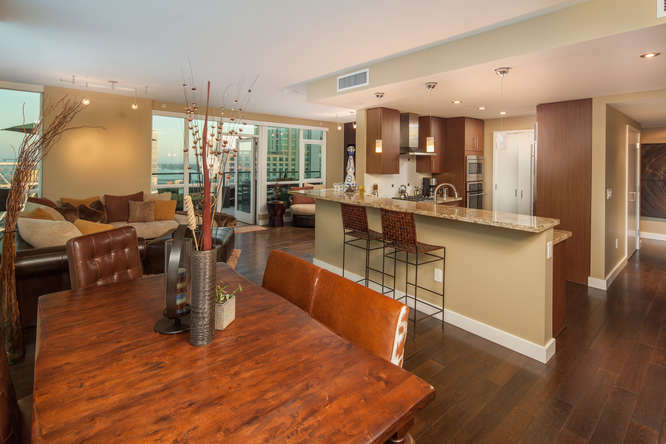 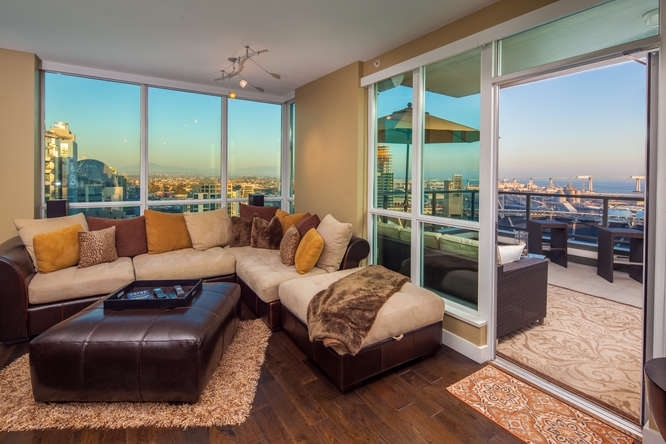 The Legend Condos San Diego were completed in 2007 by Bosa Development. 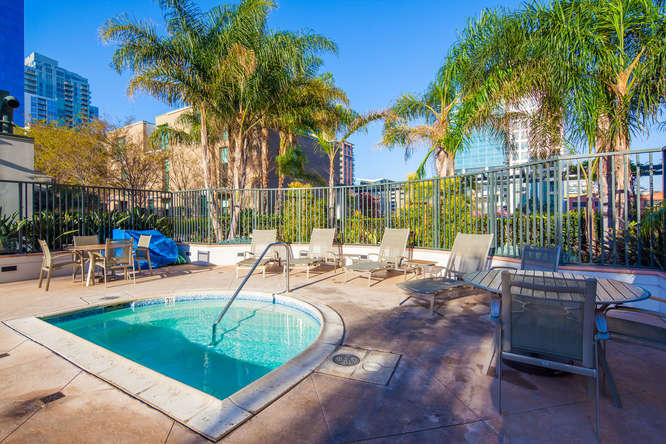 Other downtown San Diego Bosa buildings include Park Place, Horizons, The Grande, Discovery, Bayside, Electra, and Pacific Gate. 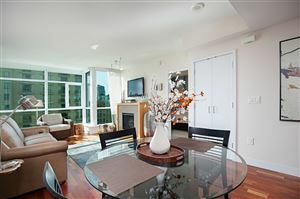 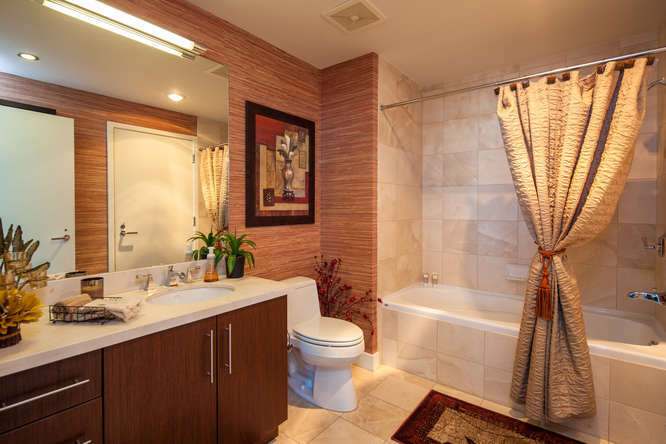 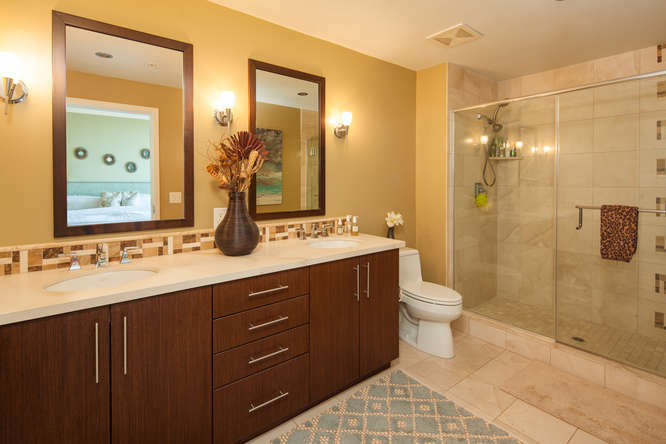 Close proximity to FIT Athletic club with 2nd floor, open pool and spa.